Managing human resources in construction industry has been long inherently challenging, for its large scale in manpower and its nature of working environment. Construction projects require a massive number of employees which makes it difficult to handle and secure hundreds to even thousands entries and exits in a single day. The liquidity and scatterness of workers distribution affect taking precise time & attendance records in an efficient way. Construction sites are also often exposed in various weathers and rough working conditions which bring limitations on the choice of time and attendance products. 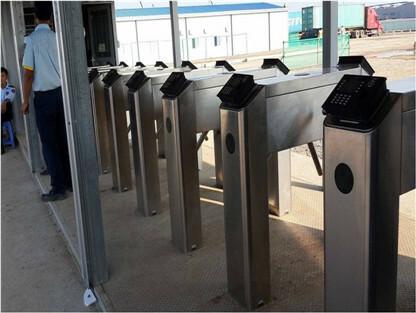 Entrance management and Access control solution with cost-effectiveness, high reliability, flexibility and durability to tackle different roughness are definitely needed. ZKTeco provides a perfect solution of access control and time & attendance to meet the special needs of construction industry. Turnstiles systems with dual access and multi-biometric terminals significantly enhances both the efficiency and the security level of access. With alloy steel tripod hub and SUS 304 stainless steel body, the tripod turnstiles offer high durability and are capable to smoothly operate under the rough working environments in construction sites. Portable fingerprint terminal S922 which utilizes GPRS and Wi-Fi communications offers flexible time & attendance solution for dispersed staffs in construction sites. The device also meets IP65 rated protection grade, guaranteeing 0.5m above-ground shock-proof function to satisfy the needs of proper operations in construction areas. Applied Products : TS2000, iclock680,ZKAccess3.5 software. Sumsung C&T cooperation(VN) is a branch of the world-famous Sumsung Group in Vietnam. One of their construction sites needs to manage the user privilege to make sure their property is safe, along with the record of who goes to work on time. They has more than 5000 staffs and so far there is only one passageway enabled for access. 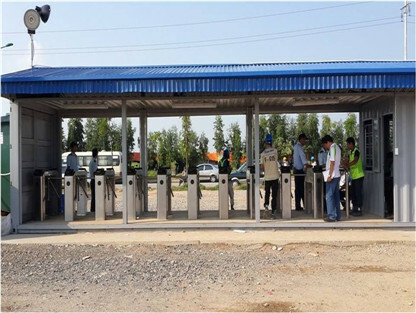 ZK Vietnam distributor offered them a solution of using the Tripod turnstile TS2000 combined with T&A terminal with A&C function iclock680 which integrated with ZKAccess3.5 software. 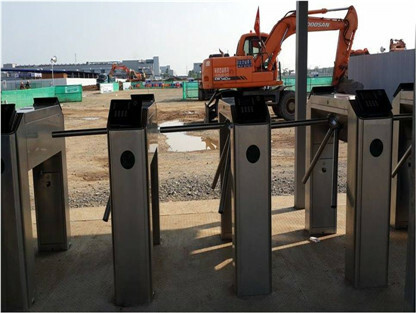 The Tripod turnstile TS2000 installed along with the biometric terminal iclock680, it can record all staffs’ attendance records while providing a video surveillance function of who has entered the construction site. This solution has fully met the client requirements. Further more, it is very easy to use and convenient to maintain. This is the 1st stage project, as Sumsung C&T cooperation has many construction sites in Vietnam, there are another 2-3 same projects were under processing. ZK Vietnam distributor and ZKteco will try our best to provide customers with qualified products and services.